We are very excited to bring you something that nobody else has - herbs and veggies grown in "root pouches" that can be planted directly in the ground, plant and pot. Root destruction or injury is minimized when the plant is not removed from its container. Root pouches are made from plastic bottles and spun into fibers that are mixed with recycled cotton fibers, which degrade over time. Root Pouches promote dense root structure and prevent roots from circling. These pouches can be planted in the ground or in a larger pot or washed and re-used if desired. The new herbs and veggies we have now at SmartyPlants are huge, beautiful, and healthy (see picture below). They are NOT sprayed with chemicals. The new look in the Herb/Veggie Department at SmartyPlants is the result of a new partnership we've established with a local grower who will also be growing a nice variety of organic herbs and veggies especially for us next fall. In order for the plants to be ready for the growing season, we plan to finalize the list in about 6 weeks of what they will sprout for us. If you have particular herbs and veggies you would like to see at SmartyPlants in the fall, don't hesitate to share it with us. It's going to be full-on herbs and veggies extravaganza at SmartyPlants. We all know it's hot and humid, so working in the yard is ... well, not so nice. Unless you think of it as taking a sauna without having to pay for one. It's healthy to sweat. We said it last time, and we'll say it again - plant now and establish your plants in the easiest way possible while nature does the watering for you. Hurricane season has officially begun. It's a great time to prune trees. Overpruning is not a good practice, so if you're not sure how to prune a tree or a palm and you want to do it yourself, give us a call. For us Lake Worthians, Vegetation Amnesty Pick-Up Service is from June 25th through June 29th. This allows us to place vegetation curbside to be picked up on the regularly scheduled pick-up day. For those who would rather have professionals do the job, we recommend Community Tree Service for proper palm and tree pruning. Bugs - Be extra vigilant of bugs. Check under the leaves and on the trunk and stems of shrubs. They are particularly active right now. Tree/Palm Pruning - Overpruning trees and palms increases the tree's susceptibility to disease. It's good to thin a tree, but it's not good to take too many limbs. For palm trees, it's best to take off only the fronds that fall below the imaginary horizontal line that can be draw across the base of the palm's head. Fronds above this imaginary line should be left on the palm until the next pruning effort. Don't forget about Father's Day on June 17. 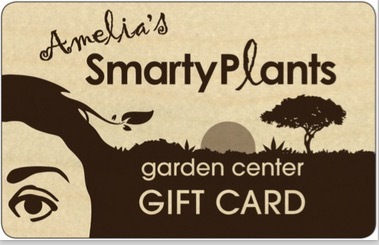 Stay tuned for special Father's-Day sale at SmartyPlants.